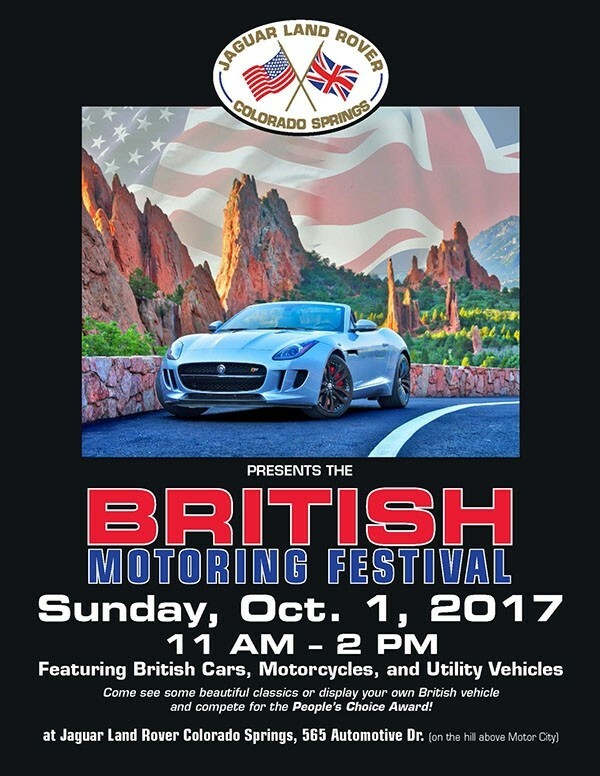 Mark your calendar and join us for the British Motoring Festival on Sunday, October 1. It will be held at Jaguar Colorado Springs located at 565 Automotive Drive. Stop by between 11 am – 2 pm to see an amazing variety of British cars, motorcycles, and utility vehicles. See you then!